Get beyond your "Hallo", "Danke", "Ja", and "Nein" with this free online German basics course! German is one of the most important languages of the world and the second most commonly spoken foreign language in the EU. Whether you want to move to Germany, take a holiday there, or conduct some business with German organisations, this German basics course will give you the boost you need to speak a little more German without error, today. This online German language course from Alison will introduce you to basic German vocabulary and grammar which will take you one step closer to your first perfect German conversation. Germany is internationally recognized as the industrial and economic powerhouse of Europe, so a working knowledge of German is essential for professionals in areas such as business, finance, economics, and politics. This course will make learning the German language a little easier and more rewarding. This German course will start off by teaching you about the colours and numbers in German. You will then learn the German alphabet and how to tell the time of the day. Next, the course will teach you vocabulary that is essential for preparing for a foreign trip. Next, you will study German verbs and their proper usage, and learn how to speak in German about the things that you like and do not like. 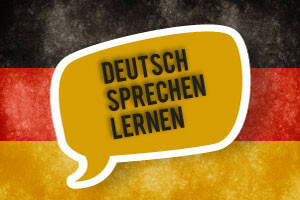 This free online German language course from Alison will be of great interest to anyone who would like to begin learning German, and to all learners who would like to be introduced to this very important European language. By taking this course, you will gain a bit of essential German vocabulary that will make your next trip to Germany or interaction with Germans a lot more enjoyable. So, check out the course now and boost your German language skills today! After completing this course you will be able to: - Tell the times of the day; - Identify the alphabet and pronounce letters in German; - and identify important vocabulary and grammar.